And this coat is reminiscent of the dior design I am making. , with its pointed collar, straight-shape and canceled closing. The tubular belt is a brilliant addition. 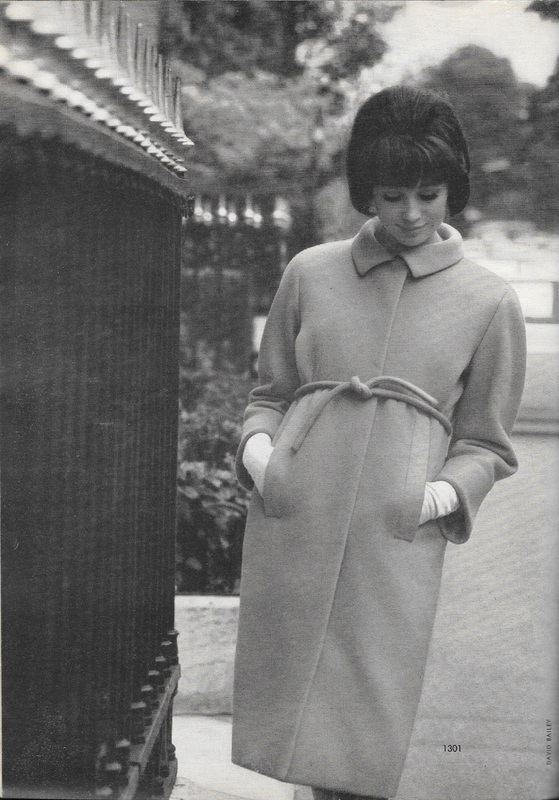 This design is by Guy Laroche and bot it and the pink coat shown above were both included in the February/March 1964 Vogue Pattern Book Magazine.